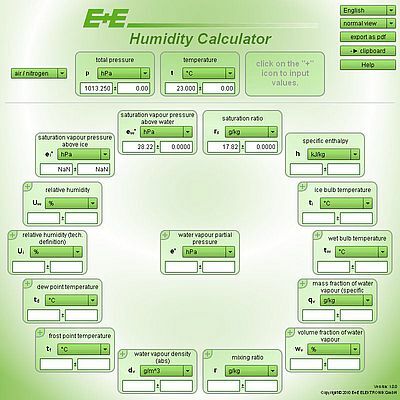 Capable of being used online, the free humidity calculator from E+E Elektronik is used for the rapid conversion of humidity measurements. Users can quickly calculate from temperature and relative humidity, the dew point, frost point, mixing ration or other humidity measurements with ease. The calculator also includes measurement uncertainties in the calculation. This is helpful for obtaining realistic and reliable overall uncertainties based on the specification of the measuring device. The software does not need to be installed in user’s PC.